For pianist Kyle Walker, every little detail matters. Stemming from his appreciation of and belief that all western classical music stands in the shadows of Bach’s innovative body of work, the understanding of which he brings to both traditional repertoire and that of the living composers with whom he collaborates. His performances have been featured on media broadcasts including NPR’s Public Radio East and UNC-TV, just to name a few. Recently, he made his solo debut at New York’s Carnegie Hall, performed the Schumann Piano Concerto with the East Carolina University Symphony Orchestra, as well as presenting solo performances at Steinway Hall NYC, Birmingham Jefferson Concert Hall in Alabama, and the innovative music and multimedia venue Spectrum NYC. His festival performances include the Tibor Varga Music Festival, Switzerland, The Four Seasons Chamber Music Festival, NC, the Beethoven Institute and PianoFest in the Hamptons, NY. Mr. Walker is the 1st prize winner of the 2013 Bradshaw and Buono International Piano Competition, also having taken 1st prize in The National Talent Hunt of Omega Psi Phi, and the Greensboro Music Teachers Association Young Artist competitions. As a chamber musician, he is a frequent collaborator in premiere performance projects with living composers such as Brian Erickson, Matthew Lyon, Timothy Messina and Joan Szymko, whose work he premiered at the American Choral Directors Association in Memphis, TN. Mr. Walker has played in masterclasses with world class presenters including Manahem Pressler, Joseph Kalichstein, Boris Berman, Robert McDonald, Adam Neiman and Julian Martin. Kyle Walker is currently a master’s candidate at Mannes College, The New School for Music under the tutelage of Thomas Sauer. He holds a bachelor’s degree from East Carolina University and has studied with Benjamin Hochman, Keiko Sekino, Henry Doskey, and Clifton Matthews. For Virginia Beach native Katherine Dennis, the eclectic topography of the chamber music repertoire is the ideal playground for her musical pursuits. While remaining rooted in her love of standard violin repertoire, she has also immersed herself in the world of new music. Dennis has premiered the works of many living composers such as Matthew Lyon, Scott Rubin, and Faustino Solis. This dedication to animating new works was initiated by a dear friend and compser, Rafael Valle, who dedicated his piece, "Bereceuse," to her. She has not only distinguished herself as a performer, but also as a teacher. During her undergraduate career, she received two years of intensive Suzuki teacher training and is now registered for all 10 Suzuki Books. Dennis participated multiple times in the Four Seasons Chamber Music Festivalʼs Next Generation concert series where she has performed with renowned artists such as Elina Vähälä, Ittai Shapira, Hagai Shaham, Hye-Jin Kim, Melissa Reardon, and Emanuel Gruber. She has also had lessons and master classes with distinguished violinists including Jennifer Koh, Yeohanotan Berick, Rodney Friend, and Regis Pasquier. As a dedicated chamber musician, she has also participated in numerous music festivals: the Domaine Forget, Green Mountain Chamber Music Festival, High Peaks Music Festival, Beethoven Institute and Madeline Island Music Camp. Through these festivals she had the opportunity to study with distinguished artists such as Soovin Kim, Yuri Kim, Julian Martin, Kathryn Lucktenberg, Felicia Moye, Lucy Robert, John McGrosso, Ken Goldsmith, David Gillham, The Arianna String Quartet, The Fry Street String Quartet and The Jupiter String Quartet. She has also performed internationally via the Holter Ensemble Music Festival. Dennis received her bachelor’s from East Carolina University where she studied with Ara Gregorian. She is now living in Montreal where she is pursuing her master’s at McGill University’s Schulich School of Music under the tutelage of Axel Strauss. Christopher Ferrara is an American-born violinist who began studying the violin at eleven years old. His teacher in his developing years was Dora Marshall Mullins, whose teacher was a protégé of Franz Kneisel. For his college years he continued his studies under Dr. Wanchi Huang at James Madison University, where he was prize winner of the concerto competition; performing Ravel’s Tzigane with the JMU Symphony Orchestra. Mr. Ferrara finished his undergraduate studies at East Carolina University under Ara Gregorian, a protégé of Joseph Fuchs. Mr. Ferrara has performed in numerous master classes given by world-renowned artists such as Hagai Shaham, Elina Vähälä, Ittai Shapira, Yehonatan Berick, Axel Strauss, Soovin Kim, and from the ensembles Cypress, Daedalus, Enso, Brentano, and the seven-time Grammy award-winning Emerson String Quartet. He has also participated in David Finckel’s Immersive Chamber Music Study program at Stony Brook University. An avid chamber musician, Mr. Ferrara has performed in chamber events across the United States, attending the Beethoven Institute, Holter Chamber Music Festival, Bayview Music Festival, and the Meadowmount School of Music. He has participated in the Four Seasons Chamber Music Festival on multiple occasions and has collaborated with such artists as Robert McDonald, Nick Chords, Min-Young Kim, Raman Ramakrishnan, Paul Watkins, Melissa Reardon, and Benjamin Hochman. He is also an active member of the Triforce Quartet and Artistic Director of the Ferrara Chamber Music Festival based in Norfolk, VA.
Mr. Ferrara has taught privately over the past fifteen years and has given master classes throughout the East Coast, including having taught undergraduate chamber music at Stony Brook University, and having been the distinguished Violin Professor at the Shenandoah Valley Academy School. He maintains an active private studio in Virginia and New York. Mr. Ferrara received his Bachelor’s of Music in Violin Performance from East Carolina University and his Masters from Stony Brook University. He is his now pursuing his Doctoral of Musical Arts in Violin Performance at Stony Brook University under the tutelage of the Emerson Quartet, Philip Setzer, and critically-acclaimed soloist and chamber musician Hagai Shaham. Ye-Jin Han is a Korean violinist currently residing in New York, as a DMA candidate at Stony Brook University. After graduating Seoul National University in Korea, she studied her Master’s Degree and Performance Studies at Manhattan School of Music. As a winner of Brescia International Violin Competition in Italy, and Five Towns Young Artist Competition in New York, Ms.Han made her New York debut at Carnegie Hall Weil Recital Hall in 2009. As a versatile performer, she toured around America, Canada, South America, Europe and Korea to play concerts through out various venues. She also played in Civic Orchestra of Chicago in 2008 under the baton of great conductors including Maestro Bernard Haitink, Larry Rachleff, Richard Kaufman, and James Gaffigan. 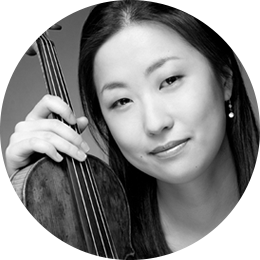 Ms. Han is currently a concertmaster at New York Presbyterian church orchestra. As an active chamber musician, she won the Lillian Fuchs Memorial Chamber Music Competition in New York, and has collaborated with Lucie Robert, Eugene Drucker, Soovin Kim, Vladimir Dyo, and Gorjan Kosuta. As an experienced violin instructor, she was invited as a faculty member in Seoul International Music Festival in Korea in Summer 2013 where she also performed in Faculty concerts, and currently teaching at Music Academy of Long Island in New York. 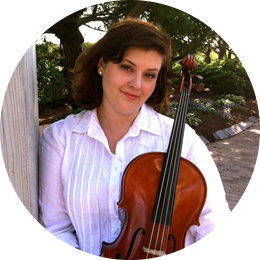 Violinist Elizabeth Ivy has appeared internationally as a chamber and orchestral musician. As an orchestral musician Ms. Ivy has performed with various New England orchestras, and has toured with the international symphony, Philharmonia of the Nations. As a chamber musician Ivy has participated in chamber music festivals such as The Beethoven Institute in NYC as well as the Zephyr International Chamber Music Festival in Courmayuer, Italy. 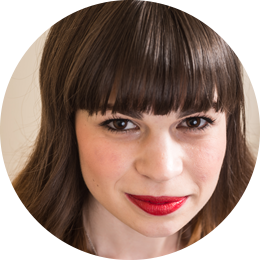 She received her Bachelor of Music degree in 2009 from the New England Conservatory of Music where she studied violin performance under Lucy Chapman and Marylou Speaker Churchill. Upon moving to Greenville, Ms. Ivy supplemented her studies by earning a double certificate in Violin Performance under Ara Gregorian and Suzuki Pedagogy under Joanne Bath at East Carolina University. She is an active freelance musician and performs with The Long Bay Symphony in South Carolina. She also enjoys teaching her private studio in Greenville and performs frequently in New Bern with the Trent River Chamber Players. Currently, she teaches Suzuki violin classes, grades 6th through 12th, at Snow Hill, Greene County Schools as well as the Oakwood School in Greenville. Ms. Ivy has appeared as a clinician at the North Carolina Suzuki Institute at East Carolina University. Florrie Marshall is a rising senior at East Carolina University, studying violin performance under the tutelage of Ms. Hye-Jin Kim. She previously studied violin and viola with Dora Marshall Mullins, in Virginia Beach. Florrie has attended music festivals in New York, Texas, Vermont, Wisconsin and Virginia, and has performed in public masterclasses for distinguished teachers such as Ida Kavafian, Soovin Kim, Axel Strauss, David Bowlin, Johnathan Schwartz, and Xiao-Dong Wang. Ms. Marshall has been selected for 5 consecutive semesters to participate in the Four Seasons Chamber Music Festival 'Next Generation' series, under the direction of Ara Gregorian, which takes competitively selected students on professional concert tours through North Carolina, South Carolina and Virginia. In addition to her work in North Carolina, Florrie is also a member of the Virginia Beach Philharmonic Chamber Orchestra, having served as principal violist, principal second violinist, and most recently serving having served as concertmaster. In addition to performing, Miss Marshall has a passion for teaching music, and currently has a private studio in Greenville, North Carolina. Florrie plans to pursue a masters degree in violin upon graduation. Johnathan Spence is a graduate of East Carolina University where he studied with Ara Gregorian. He has participated in the Next Generation Series of the Four Seasons Chamber Music Festival, during which the students selected for this program receive multiple opportunities to play side-by-side with world-renowned artists. Focusing on his passion for chamber music, Johnathan continues to play and perform in various chamber music festivals across the country. Brittany Nelson, from Annandale, Virginia, began playing the viola at the age of 9. Her passion for music was further developed by her exposure to chamber music, which compelled her to earn a Bachelor’s of Music degree in 2010 from James Madison University, studying with Amadi Azikiwe. She has since earned a Master’s degree from Michigan State University in viola performance, under the guidance of Yuri Gandelsman, and served as principal viola for the university’s symphony. Brittany has attended numerous music festivals, including the National Symphony Orchestra’s Summer Music Institute and the Killington and Bay View festivals. She has performed in various concert halls throughout the United States and abroad, including the Kennedy Center and Carnegie Hall. She is currently a freelance artist in the DC/Metro area. 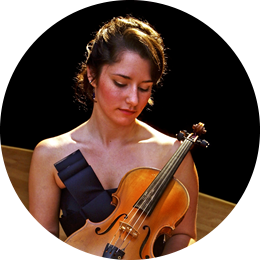 Rebecca Sinclair Kim currently studies viola with Leonard Matczynski at The Boston Conservatory (Boston, MA), where she is pursuing a graduate diploma in viola performance. Rebecca earned her Bachelor’s Degree of Music at James Madison University (Harrisonburg, VA), studying violin with Wanchi Huang. 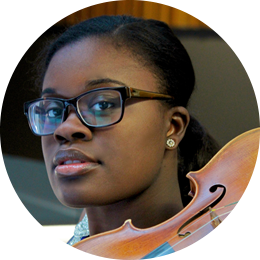 Between her degrees, Rebecca studied viola with Nancy Thomas of the National Symphony Orchestra (Washington, D.C.). Rebecca is also an experienced music educator. She directed public high school orchestra ensembles for five years in Fauquier and Prince William counties, and conducted the Repertory Orchestra of the Youth Orchestras of Prince William for three years. 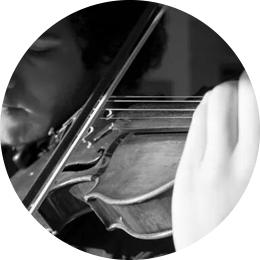 Benjamin Smith began his musical career as a violist upon entering college at East Carolina University under the teaching of Melissa Reardon and Ara Gregorian. He is an active chamber musician, participating regularly in the Four Seasons Chamber Music Festival's Next Generation Ensemble with artists such as Hagai Shaham, Maria Lambros, Hye-Jin Kim, Emanuel Gruber, Raman Ramakrishnan, Xiao-Dong Wang, and Ida Kavafian. Benjamin has attended The Beethoven Institute at Mannes College in New York, Madeline Island Chamber Music Institute's advanced quartet program with the Shanghai Quartet, Holter Chamber Music Festival's annual chamber music tour of Italy, and most recently the Garth Newel Chamber Music Festival with the Enso String Quartet. In the fall, Benjamin will attend graduate school at Stony Brook University under the teaching of Nicholas Cords of the Brooklyn Rider String Quartet and Yo Yo Ma's Silk Road Ensemble as well as Lawrence Dutton of the Emerson String Quartet. 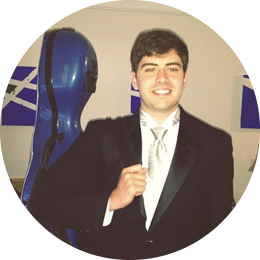 Cameron J. Collins, a recent graduate of East Caroline University began cello studies at age 3. CJ has competed in competitions throughout the U.S. In 2013 CJ was winner of the East Carolina University concerto competition and performed the Dvorak Cello Concerto with the East Carolina Symphony Orchestra. 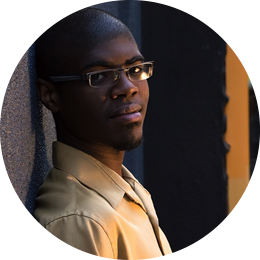 In both October 2010 and 2012, CJ was chosen the winner in the MTNA Young Artists Competition. CJ also plays in the Fayetteville Symphony Orchestra. In 2002, he was chosen from cellists around the country to perform in Minnesota with the Youth Orchestra of the Americas. 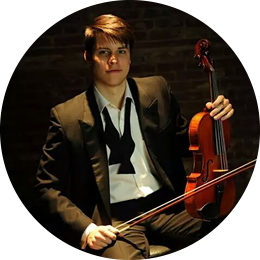 He has also received several awards in MTNA competitions, and has been principal cellist of the ECU Orchestra, Greensboro Symphony Youth Orchestra and the NC Western Regional Orchestra, assistant principal of the NC Honor’s Orchestra, and a member of GSYO Honor’s Quartet. CJ has attended the Burgos Chamber Music Festival in Spain, Summit Music Festival, Madeline Island Music Camp, Eastern Music Festival, and Beethoven Institute at Mannes College in New York City. Also, as an avid chamber musician, CJ has performed several times with Four Seasons Music Festival’s Next Generation concert series. CJ is a three-time concerto winner for the GSYO. He has received scholarships from the Eastern Music Festival, the Cone Foundation, the Ashley Foundation, the NCSA summer chamber program, and the McCrory Foundation. CJ has recently received a loan of a German cello from the Virtu Foundation. CJ’s teachers have included Zvi Plesser, Brooks Whitehouse, Ken Law, and Beth Vanderborgh. He is currently a scholarship student of Emmanuel Gruber at ECU, and has performed in masterclasses for Timothy Eddy, Colin Carr, Zuill Bailey, Schmuel Magen, Zvi Plesser, Emanuel Gruber, Yuri Kim, Gustavo Tavares, Bongshin Ko, Ara Gregorian, Raman Ramakrishnan, Amit Peled, Johnathan Vinocour, Masumi Per Rostad, Johathan Kramer, Enso String Quartet, Jupiter String Quartet, Arianna String Quartet, and the New Zealand Quartet. Next Year CJ will be attending the Jacobs School of Music at Indiana University to pursue his Master’s Degree in Cello Performance, studying under Eric Kim. 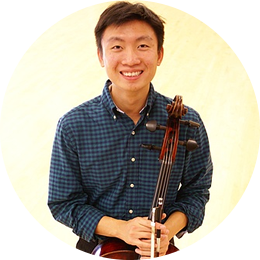 Vietnamese-born cellist Phuc Phan is currently working toward his Masters of Music at Stony Brook University, under instructions of the world-renowned cellist Colin Carr. He previously attended and received full scholarship from the International School of Chamber Music of Trio di Trieste in Italy, Luther College in Iowa, USA and Vietnam National Institute of Music. He has appeared as a soloist, chamber musician and orchestral musician in various cities throughout Southeast Asia, China, Japan, Austria, Italy, Germany, Croatia and the U.S. He is currently playing on a Zimmerman 1919 cello, generously loaned to him by the Carlsen Cello Foundation, Seattle.